Mariyam(204) to Chichi Chizy(304)Koch skuI In lyf we meet many peeps burh those gr8 oneslyk yew live a mark in our hearts.Love u big xoxo! Sheba(204) to Davie(204)Jabz True frndz neva part mayb in distance but nurht..Mob luv nd kip da fire flaming .Btw thanx for being there 4 me.Chop Smart. Rozzie(204) to Mulandi(404) Long time no see.The silence iz so strong..break it! Serah Ngina to Eduh(304) Mururia Chop hard n tek kea. Mary Mumira to Paul Mwangi(404) Mob luv.xoxo! Saisa(404) to James Mwai(Brooks)Chania Bee..Sema deshkie!! carol(404) to Allan wanjohi(304) Para zako ziko yuest! purity(404)to Alvin Kariuki(304)Chania Bee …Chop hard bro..Luv yu! Innocent(304) to Shilfa Wanjiru(304)Consolata Gee Still madly in luv with u n miss u.lukin forward to meet u soon. Victor Salvat to Jackie(304)karima gee With our love we can go nowhere bur up to ma sky past the moon to the galaxy.Mob lav! peter wandera(304) to Juliet(304)Olympic hae Nimekuhata mbaya xana,nyako majaber.Love u n miss u! Tobby Kinja(304) to Mariah(304)Kiamugumo Gee oyah mxupa ajez.ulininyc to sana.I do luv you..mwaaah! Abedy Kips(204) to Juliet Chebet(204) St.Mary’s Tacho.Miss u big! Salvin(104) to Elisha(204) Kiamutugu bee A true frnd is the one who holds ua hand n touches ur hrt.Chop Hardest. Helen (104) To Goddy(204) Kiamutugu bee.If grass can grow thru cement,luv can find u everytym in ur lyf.Luv u.Mwaaah! Edux(304) to Sonia(204) Mchai Tsup gyal!its bn long..xoxo! Kerich Dennyce(304) to Meva(204)Kippeh.Ur silence has grow big.Mad luv beb! Sadra Sam(304)to Olives Rono(404)Kippeh Take it seriously do miss u! Franque(304) to Yasmin(104) Senior Chief A glance of ur eyes nourishes my heart.miss u big! Moses(304) to Lily(304)Gashoire gee Asap ma angel,I miss u most n mobbz of luv. Ricco(304) to Lynet mazsuza(304) Bush gee Thinking of u is easy buh missin u is a heart attack..luv u big mwaaaaest! Calvince Awuor(304) to Vivian Chanize(304) Our Lady of Mercy Our luv is still alive pliz break da silence..mwaaah! Steve mwangi(304) to Essy Gigz(304) Mary mount Lovin u is lyk breathin.how can I stop? Daisy(304) to Ian Muchez(404) Mob luv drivin me nuts!Baibe cool down. Daisy(304) to Mark(404) Lornaz Kill da silence! Daisy(304) to Roy(304) Highie Bro bana..tulia…mob luv! Brandy(304) to Erish(304) Cornerbrook Shw me wat u’v got n I’ll shw u wat I can drop..lol!! Brandy(304) to Kathleen(304) Bff’s 4 lyf luv u n chop hardest! Brandy(304) to all compuerans Let haters hate us buh we keep it fresh all day all cool! Nazline(304) to Wendy Obaje(404) Rae girls Prove now who you are..Big luv! Tracy Ngigi(304) to Robin(304)AQ Helloz,I’m sorry 4 da kweizy silence..chop hard n miss u big! tracy(304) to Edwin(304) Moi Forces Hi dude,I’m kul as always…n rock ua swag as u do! Linda Kamau(304) to Kris(404) Equator boys Mwaaaest! miss ya big tym! Linda Kamau(304) to Sharo Baro(304) eastleigh hae Even in silence,ur luv speaks in darkness..luv ya big tym! Nelson(304)to Shiru(204) Buru Gee Cylenx bana…kwani umeamuaje? Eric Jack(404) to Cynthia(404)Burgzville hei joh!umlost sana..i got planz. Dan(304) to Sarah(304)Carmels.Hey I wish u knew..nthng big! Vans(304) to Tiffany(304)Parky Inakuwaje..Hia in the streets u er hotta thn the devil! Ones(304) to Livia(304) Carmels.This long distance is killin me..MOB LUV! Edu(304) to Joy n Sheila(304)Carmels..You people med ma M.F. luv u big! Nelson(304) to I-Qru.You guyz r the best!Kip up the gud work. Shizo(304) to Chantelle(404) Ikuu Gee ua silence waz a disaster..wats up? Tom Bayeye(304) to Mac gee 304’s..Kwaney yew went cylent?Nxt tym yew diss..av a game plan n get a lyf. Jemo(304) to Eccy(304) Mac gee…missin u big tym..Thinkin bout u! Colopizzo(304) to Winrose Mibei(204) Segero Hae Wazup ma nizzo,am addicted 2 u.Miss u sana..
Victor(304) to Joan(304)Kaplong.Hi lots of luv! Yusuf(304) to Diana(304)MFA LANET luv diagnosis…luv u big! Bruce willis(304) to Shakyz(st gee) n Cynthia n Loice(304)Moi gee Eld Hey low cuties!Lyf iz as it is!Jst missin yew big tym n kip in mind tht luv doesn’t wither wid tym though it’s a limiting factor. Caleb Keino(304) to Diana(304) Kaplong Gee Gyal u r amazing,just d way u r.luv yah…mwaaah! Benjaa Lang’at(304) to Saida Chepkirui(204)K.B.S. Big luv n much misses baibe! Mose Kip(404) to Maci(204)K.B.S. Big luv n much misses baibe!!! Brayo Koech(304) to Belinda(204) Big-ups dia.Missin u gr8 babe..
Gilisho HUNTER(304) to Lyndah Lelatia(Choxx)Doin gud?say hi 2 all riddimizers.Nyc tym! Dickens(304) to Faith(304) Moi Kipsitet Big ups 2 yah dia.Only God knows how much I miss u n long 4 u.Yours 4-G! Sobhuza Remmy(304) to Prisca(304) Statoe I luv u a lot!! Daniel Odindi(304) to Mitchelle ogaye(Statoe)..I’m ur no 1 stalker. Brian Pulkol(304) to Mitchelle kerubo(204)Riara..Miss u loadz! Seth Malingu(304) to Kateroywena Wanjiku(304)Hills academy..missin u lots..luv u! Eugene Michoma(304) to Vanessa Mumbi(304)Riara..I miss big tym babe..
Kennedy epetet to Yasmin Woche(304) Hey baby!how yo doin!BREAK THE SILENCE! David congo(204) to Daisy Gakere(204) Riara.Mob luv n lets keep the fire burnin gyal! Kennedy epetet to Sharon Mathu(304)Boma hae there.Hop yheuw kwul. Mike Johnstone(304) to Laura Chepkorir(104) Rememba love is a price to b sought n won and a treasure to b shared.Gyal,wanna meet u again. John Mwangi(304) to Stellah Wanjiru(304) Nagee Wen I remb our earlier lyf dat iz d btful moments I fil lyk…nweiy,knw dat I miss yah more dan ua imagination. Mark Mike Thiong’o(304) to Suzzy Wacuka(304) Njonjo Girls Lovin u is a treasure but loosing u is a misfortune. Charles Chaplin to Winnie wanjiku(104)Gitwe Gee Without u ma luv ship sinks az in awa relationship.kip it afloat.Mob luv! Brian Gismo(304) to Eunice Kariuki(304)Bush gee To luv us a natural filin tht u av made me feel is 4 my luv.Chop hard.Adios! Joseph Mwangi(304) to Lucille(304) Uko juu tu xanar!miss u big. Felix Naccah (304) to Michelle chelal(304)Bush gee Hi Mish long tym no c bana.pliz just kip in touch.Miss yah! Dixon Kuria(304) to Joy wairimu(304)Bishop Gatimu I knw u knw tht I really miss you! Jefferson Ngangalito(304) to Joy Wairimu(304) Guess ur heart iz one of the treasures Kenya iz yet to discover but luckily it got u 1st..lol!! Brayo Mathenge(304) to esther(304) Othaya gee Great people deal with greater people.thats wht keeps me going in u n me. George Gakuru(304) to Aabilyda(304) Shamata Gee jus wana xai hae 2 u n keep the cyk up. Lawrence Ng’eno(304) to Victoria Chemutai(204) St.Francis Xavier Da most eloquent silence is dat of 2 lips dat meet in a kiss .luv yah! Derrick(304)to Sonnie(anestar gee) Trip ova luv u can get up.Fall in luv u fall forever,lyk I have missed u big xwiry! Dennis Mwathiki(304) to Lorna Kinuthia(bush) Hey thea,missin u lyk crazy.op to see u durin da holz. Joseph Gichia to Ruth Njoki(Anesta gee-304).They say the silence of two mouths meet in a kiss.Gyal u mek me go nuts! Elosy(304) to Dan(404)K-skul already miss yah n ask wen will meet again.Mob luv! Ivon(304) to Moses(404)K-skul Am missin yah big..tutaonana tu! Fatma(304) to Cephas(104) Had a gr8 tym with yah n I loved it soo much.Miss you dearest! Elasy(304) to Sam(304) Kegzville Break da silence n usipotee xana..
Beki(304) to Nyaga(304) Lwanga Break da silence…too quiet miss yah biggest!! Vicky(304) to Robert(304)Meru skul Mob luv to yah and kip da faya blazing! Joyce(304) to Mike(304)Lwanga Break da silence.uko juu bt ucnyamaze xana…laterz! 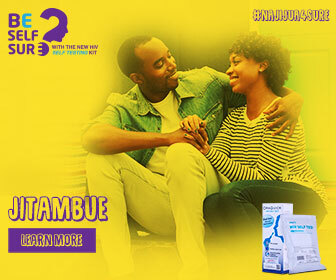 Clara(304) to Shaffi(404)Kauma Sorry kwa kukulenga.nyway,tutaonana tuongee n solve just me n u alone…luv yah! Caro(304) to Kasangas(304) Hey…chopi ndio huyo maformulas aje?uko the anyway be smarter..bbye…laterz..miss yah! Vicky(304) to Robert(304) Meru skul Mob luv to yah and keep da fire burning! Beki(304) to rowel(304)Kakamega hae..manze break da silence ata huwezi nigotea..nyway,mob luv! Pattie(304) to Shaffi(404) Kauma..u were very stubbornbut I liked ur company…luv yah! Nyambura(304) to Jeff(304) K-skul..little boy dat drove me crazzieee…nyway 2taonana 2…nyc tym! Fatma(304) TO Morris(_04) luved the tym we spent 2getha mob luv! Keih(304) TO Kim(404)Kegzville Hehe..am lost of words but I don’t knw y..Do you? Caro(304) to Malli(404) Kauma Guess wat?I went to the boutique n tried to fit a shoe n I got the right size n dat was yah.Miss yah big…Mwaaah! Shanice(304) to Dan(404) K-skul Black beauty…keep up da spirit weh bambika 2 na lyf mwaaaest! Fancie Kogo(304) to Shaz Kogo(104)Nax gee Missing u big tym! Fancie Kogo(304) to Edu Kirui(304)Sainty Molo..Got 2 luv u! fancie Kogo(304) to Elvo(304)Lexx bee..Always on my mind! Fancie Kogo(304) to Dommy(304)KB Luv u cuzo,chop smart! Faith Chepkemoi(304) to Praxydise(304)Kippeh galz Missing u! Winnie Chepkorir(304) to Patricia Siger(304)Kippeh galz Hola amiga! Dorcas Toleigh(304) to Shazzy Toleigh(204)Patch Luv u broh! Joan Jerop(304) to Kegan Tonny Bett (204)Kabarak hae Missin u bro! Linda Chebet to Nicky Mwirigi(304)M.F.A. Love u big tym! Velerie Cheptoo(304) to Bram n Chiro(304)Obi hae Luv yew! Sheila Koech to Sharon Koech(304)Kabarak Luv you big siz! Evelyn(304) to Jacky Chepkorir(404)Mercy galz Luv u! Evelyn(304) to Viola(304)LG Luv you,chop hard! Gert(304) TO Mercylang’at & Koskei N priscah(304)Kippeh galz Missin u lots! Getrude(304)_to Hoseah(304)Moi hae Love u lots!! Ronis(304) to Newton(304)Lexx bee Missin yew! Foustine(304) to Prudence twity Romeo(104) Kaplong Galz Luv yah lots small siz! Linda(304) to Amoh(304)Osiens U mean so much 2 me! Andrew Mukungu(304) to Whitney(304)St.Nicholas Hae,missin u so effin much! Cedrick Scotts(304) to Esther Githaiga(204)Mugoiri geeAll tht still matters is the love and laughter.. Miss ya!! Nu Musiq Alert: Chidi Benz feat. Diamond & AY – Mpaka Kuchee!